BERKELEY, Calif. -- No. 5 Cal Poly built a two-goal lead in the third quarter against No. 1 Cal on Saturday afternoon and sophomore goalie Tony Epshetyn made it stand up the rest of the way as the Mustangs upended the top-ranked Bears, 13-10. 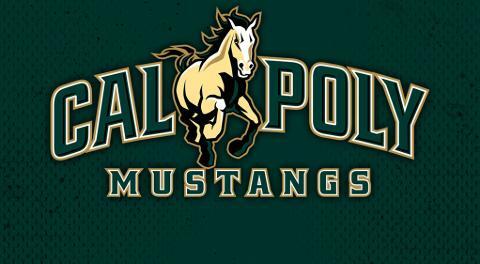 The victory gives Cal Poly (14-2) a perfect 7-0 mark in the WCLL and the top seed in the upcoming conference tournament. Cal (12-1) can clinch the second seed with a win next weekend over Stanford. Cal Poly jumped out to a 2-0 lead to start the game off goals from Doug Gosselin and Mitch Stickney, but Cal scored four of the next five goals -- including a goal by Dylan Lee as time expired - to give the Bears a 4-3 advantage after one frame. John Corbolotti opened the second with a goal for the Mustangs and then set up Gosselin for a 5-4 lead. Stickney struck again to balloon the lead to two and Cal Poly was still leading by a deuce, 7-5, late in the half. Despite the outstanding play of Epshetyn (pictured), who was replacing the Mustangs' All-American goalie Sean Pihl, Cal managed to trim the lead to 7-6 at the break on a Nate DeGroat marker. Jake Lombardo tied the game early in the third for Cal, but A.J. Guralas and Stickney countered for a 9-7 bulge that the Bears could never undo. 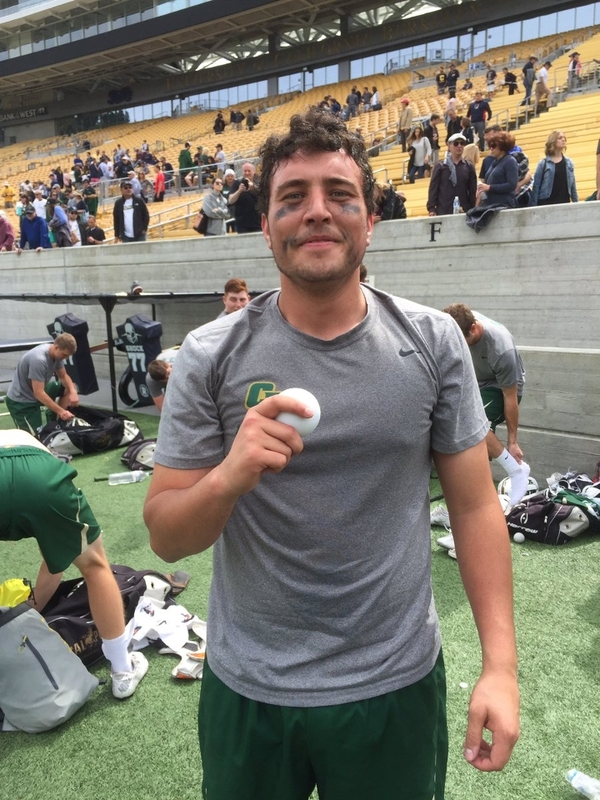 Poly managed to build a three-goal lead on three different occasions - including the final score -- as the last undefeated team in MCLA Division I couldn't find an answer. Epshetyn (pictured below) was credited with 15 saves in the victory while Stickney finished with five goals to lead the offense.